NEW! 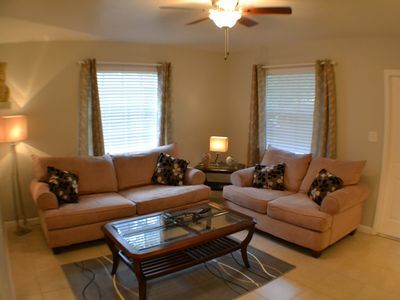 3BR Fort Lauderdale House w/Private Pool! 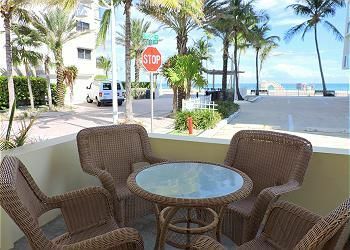 Escape to your own Fort Lauderdale paradise when you book this fantastic 3-bedroom, 2-bathroom vacation rental house that comfortably sleeps 6. Featuring a large backyard with a pool that can be heated, a covered patio area, and beautiful palm trees, this splendid home promises a revitalizing retreat. 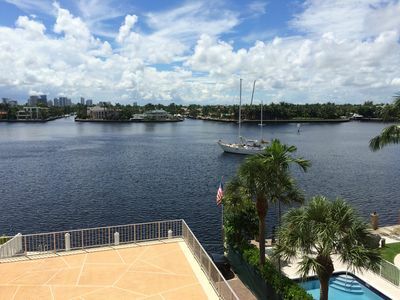 See why they call it the Sunshine State and catch some rays in lovely Fort Lauderdale! 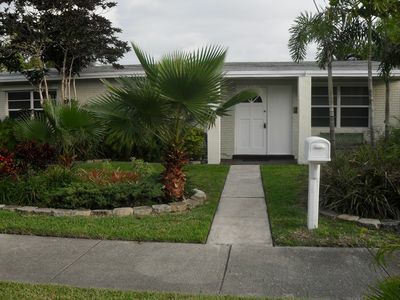 Your picturesque Florida vacation begins the moment you drive through the quiet neighborhood and up to this charming yellow house sitting cheerily beneath breezy palm trees. Boasting 1,500 square feet of delicately appointed living space, this Old-Spanish style home features tropical decor and contemporary furniture. From the modern kitchen with stainless steel appliances to the two cozy living areas, you'll have everything you need to call this Florida house your temporary home away from home. When you're ready to catch up on some much-needed sleep, this one story house makes it easy to find your way to the bedrooms with comfy beds and windows that allow the sun to keep shining in. While you'll appreciate having such a cozy interior to lounge around in, you'll likely be spending most of your time on the back patio overlooking the pool. Early risers will love beginning their mornings with a freshly brewed cup of coffee in hand, as they look out from the patio onto the spectacular backyard. 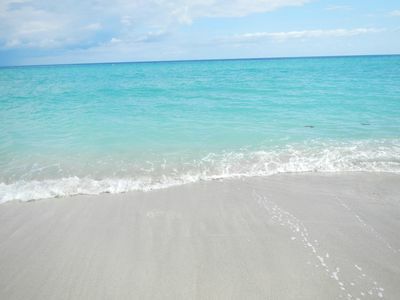 During the day, bike down to the beach, just 2.5 miles away to spend hours building sandcastles and basking in the sun by the pristine shores. For dinner, dine out at one of the many local restaurants, prepare your own delicious meal in the fully equipped kitchen, or cook out on the patio grill! End the night by relaxing outside on the patio, enjoying the pool, (heated with additional fee), and the sparkling stars shining above you before retreating to your beds to rest up for the next day. Although you could spend your entire vacation unwinding by the private pool, you'll definitely want to take advantage of this home's fantastic location! 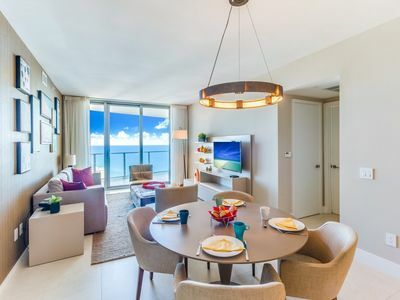 At such an ideally located home, you won't even need a car, as you can bike or walk the 2.5 miles to Fort Lauderdale Beach, or check out Las Olas Boulevard, just a 10-minute walk from the house's front door. You'll also be happy to find various restaurants and shops just a 5-minute walk away! With so much to do right outside the door, you're sure to have a rejuvenating getaway while staying at this wonderful vacation rental home! 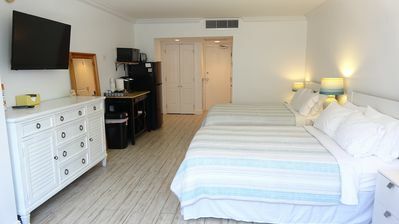 - Amazing Location - Just 2.5 miles to Fort Lauderdale Beach, a 10-minute walk to beautiful Las Olas Blvd, and a 5-minute walk to various restaurants and shops! 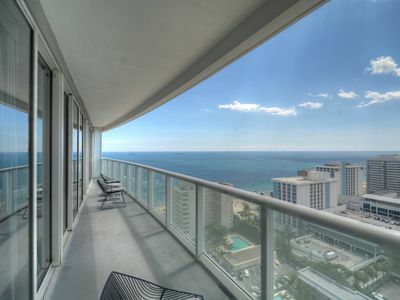 Sunny Isles 2/2 Direct On The Beach, Ocean View!